The CHNSA trail network of about 35 miles, including a section of the Catamount Trail, was built by skiers and for skiers, and it encompasses 1500 acres of private and public upland terrain in the western shadow of Camel’s Hump. You’ll experience mature, hardwood forests; stands of Norway spruce that give a feel of Scandinavia; ridgelines and deep ravines; bridges across icy brooks; and the sudden surprise of open meadows and farmscapes. More than thirty landowners, including the State of Vermont, have collaborated for more than thirty-five years to sustain this evolving, community trails project; a testament to the value placed on this resource by the community. 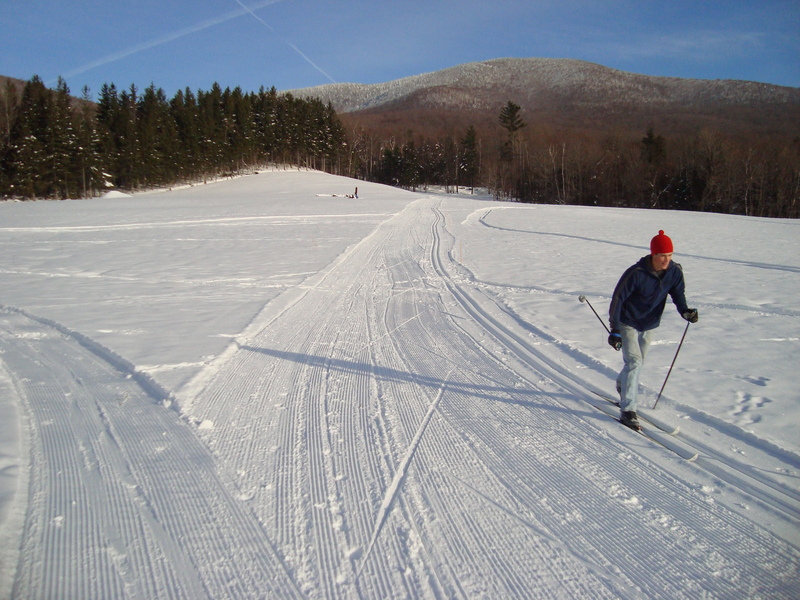 Camel’s Hump Nordic Ski Area is both a place and an organization. It is powered by the growing numbers of Friends of CHNSA who appreciate this unique skiing experience and have decided to make it their own through off-season volunteer trail work and other means of support. We hope you’ll decide to ski Camel’s Hump Nordic and make it your own as well!! To provide a unique ski experience for all skiers on a mixture of terrain in ways that foster an appreciation for community, nature, and responsible environmental stewardship.